As the leading cable manufacturer, WCH Cable provide OEM Custom service. Customer can bring its own unique requirement of the design. WCH Cable is able to custom make the cable product strictly following the customer's request. To Meet the growing demand of the global market, WCH Cable have been taking effort to expand its product range in the aspects of cable types and insulation / jacket material types. What kinds of insulation / jacket material available to custom a cable? Up to now, Custom cable of WCH Cable covers a series of high quality insulation & jacket materials. There are types as below. What is the feature & application of Custom Cable? WCH Cable integrates business worldwidely with providing the competitive advantage of safe, cost effective, and innovative products. WCH Cable products are applied widely for all major industries including government, military, automotive, aerospace, telecommunication and electronic appliances. 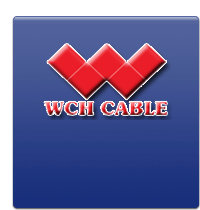 Contact WCH Cable for further assistance of Custom Cable.